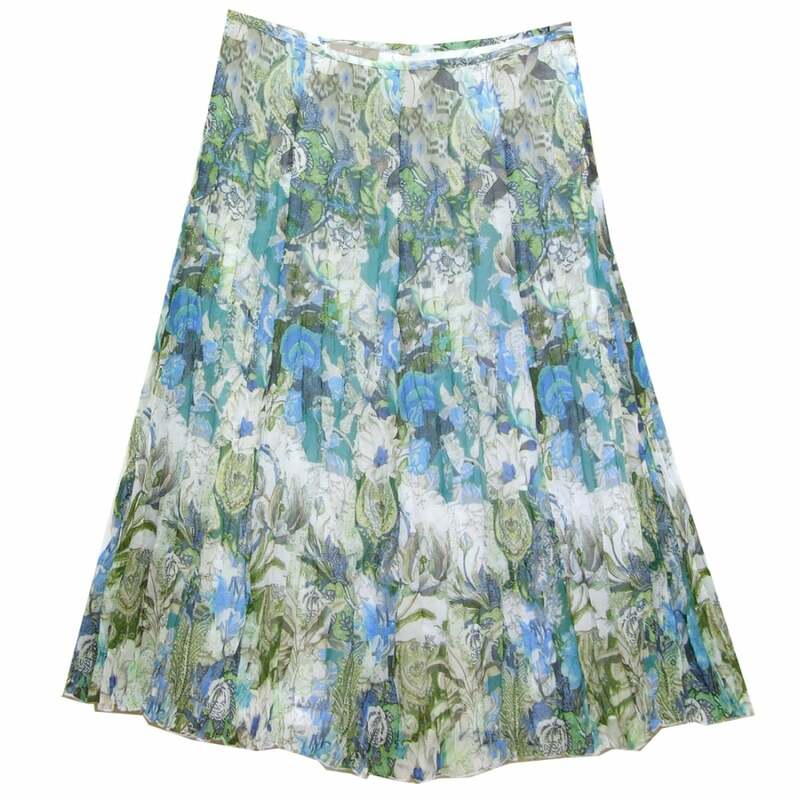 Skirt, mid length, a-line, rear concealed zip and button closure, in white crumpled plead polyester chiffon printed with a floral design in blue green and grey. Lined in white acetate. 100 percent polyester shell, 100 percent acetate lining.